Do you know that Valentines Day – the day when people celebrate love, started not with cute cuddly teddies, fragrant red roses and chocolates, but, with blood and lots of gore? Yes dear readers…the Valentines Day as we know it today has had a bloody beginning and then, came to be celebrated, thanks to a great saint named ST. Valentine. There are many interesting facts about this ‘love saint’ as we would like to address him, and are sure, you too are just dying to know about him! Who was he? Were there more than two saints? How did he meet his end? Therefore, to satisfy your ‘need to know all’ urge, we are bringing forth 29 surprising facts about history of Valentine’s Day and many more intriguing facts associated with this love holiday! Enjoy..!! 13. Valentine’s Day – an invention by Chaucer? 29. Bad luck to sign Valentine’s Day card? It is a very interesting thing to know that there was not one but a dozen St. Valentines that existed in the 3rd century, and there was one common thing that was associated with them. Yes, they were all martyrs. Here is one of the most intriguing Valentines Day facts to know. Most of you till date have only fathomed St. Valentine of Rome as the torch bearer of this love festival, and have probably bought numerous red and pink candies to commemorate his sacrifice, but, he wasn’t the only martyr to have laid down his life while saving Christians. 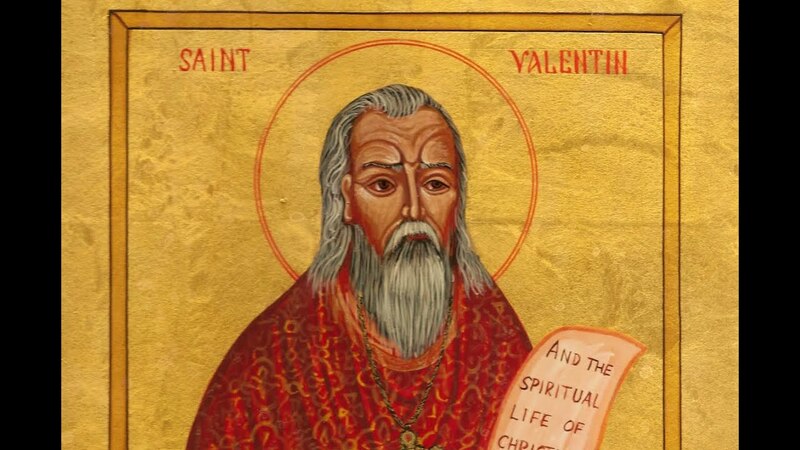 In fact, there were a dozen of St. Valentines who existed in the 3rd century with the name of Valentinus. They all sacrificed themselves in order to save people. One of them was a Spaniard bishop named St. Valentine Berrio-Ochoa who was beheaded in 1861, and the other was a Pope by the name of Valentine. Therefore, you can dedicate your day of love to all these martyrs instead of just one! 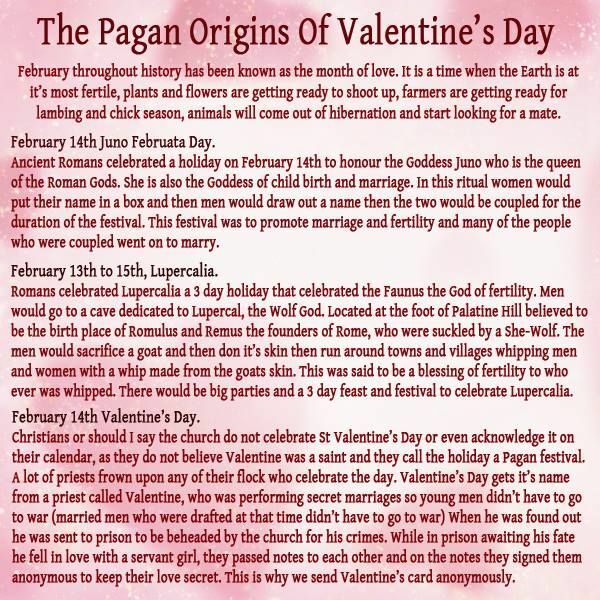 Do you all know that Valentine’s Day originated from a Pagan festival of Romans called Lupercalia? You will be surprised to read about this amazing fact here! While, its a common belief that Valentine’s Day is an all Christian festival with origins dating back to AD 270 when the church reserved the middle of February to celebrate the burial of St. Valentine, but, the real fact is that it had origins, linking it to a pagan festival called Lupercalia. It was a Roman festival dedicated to the Roman God Faunus, the god of agriculture. It was called the fertility festival and was celebrated on February 15th. But, when Christianity spread across the world, the fertility festival lost its sheen and popularity, only to be outlawed. It was Pope Gelasius who resuscitated this festival in the 5th century and declared February 14th as the day of celebrating it. Valentine’s Day today is all about love, but, do you know that when it began from a Pagan festival called Lupercalia, it wasn’t so sweet and mushy? Yes, you are going in the right direction that doesn’t appear too beautiful or poetic! Read the following piece that will offer you an insight into what went on during the celebrations of this fertility festival. 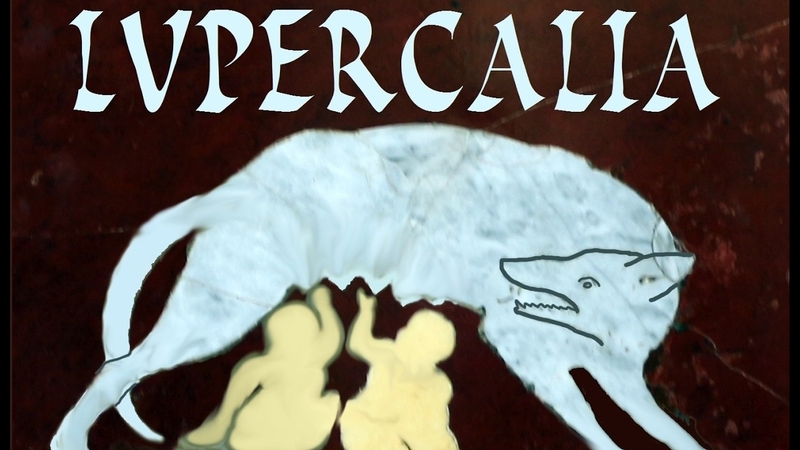 Luperci was a Roman order formed by priests who conducted the rituals associated with Lupercalia in a cave that was regarded sacred by them. It was the same cave that was believed to have been the shelter of the founders of Rome – Romulus and Remus. These infants were brought up by Lupa, a female wolf. Therefore, to begin the festival, the priest would gather inside the cave and then would conduct the sacrifices of a goat and a dog, each personifying fertility and purification. Hey, it doesn’t stop here…so read on. Once the sacrifices would be completed, the hide would be stripped and dipped in the goat’s blood. After this, the bloody hide would be taken along the streets where it would be slapped on crop and women to make them more fertile. The practice was rather welcomed by women who believed that after being touched by the goat’s hide, they would get their future husbands. Thus, its no wonder why even today, both men and women wait for the V Day so impatiently…to find their soulmates!! Valentines Day has become one of the biggest earning businesses in today’s times. Its reported that almost 55% people in America celebrate this day of love by spending almost $18.2 billion each year. 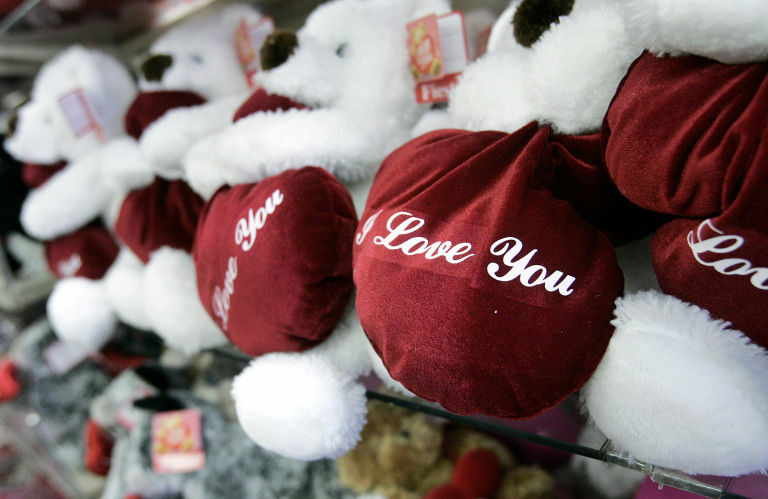 From candies to roses, people indulge in a variety of gifts on Feb 14th. In the U.S, the chocolate industry makes almost $1 billion in profit. The card industry too makes good money at least five to six days before the actual day of celebration. Among the spenders, its men that spend more than women. While, men shell out $150 on various gifts, women, however act a little miserly as they spend only $74! It is eerie looking at skulls, but, when its of St. Valentine, then you ought to see it! For those of you planning to make this year’s Valentine’s Day special, visiting Rome would be a great idea for it is here that you will get to see the real skull of St. Valentine. The skull of this martyr is kept at Basilica of Santa Maria in a town called Cosmedin, and is filled with flowers. The skull was excavated in the 1800s and was housed in this Basilica for tourists. If you cannot make this trip to Rome, then you have other alternatives as well. You can also travel to the land of Scots, Irish, English, French and the Czechs to see the different skeleton parts of St. Valentine. Here, it may be mentioned that Valentine’s Day in all probability was celebrated in Tudor England. Some accounts and historians claim that it was under the rule of King Henry VIII of England that February 14th came to be celebrated as the day of St. Valentine. It was declared a holiday. But, nothing has been proved till date. However the book “Pleasures and Pastimes in Tudor England” written by Alison Sim corroborates this claim. In some accounts, historians have mentioned about gifts being exchanged between couples on this special day. Tudors also engaged in a game where the names of the gentlemen bachelors and maidens were put together in a box and then were drawn out together to form pairs. The paired couple then exchanged gifts and the maiden became the bachelor’s sweetheart for one whole year. Most often, such pairings resulted in marriages. 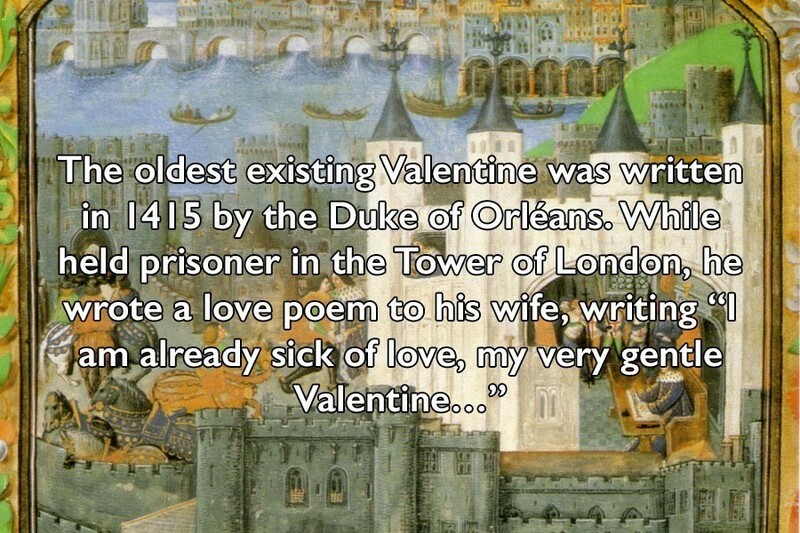 Hence, we can conclude that Valentines Day was definitely celebrated with much fervor on February 14th in Tudor times. Everyone knows that red is the usual color associated with Valentine’s Day. It is true. Red symbolizes warmth and passion. It represents raw sensuality and is a must for celebrating this day of love. However, its not merely red that is associated. The color pink is also symbolical. In fact, it will surprise most of you that pink was a shade associated with St. Valentine. The Roman priest was jailed because he helped soldiers to marry their sweethearts despite Claudius II forbidding them to marry. The emperor imprisoned the priest and tortured him. Just before he was executed, he restored the vision of one of his jailer’s daughter named Julia. This miracle motivated Julia and her family to convert into Christianity. 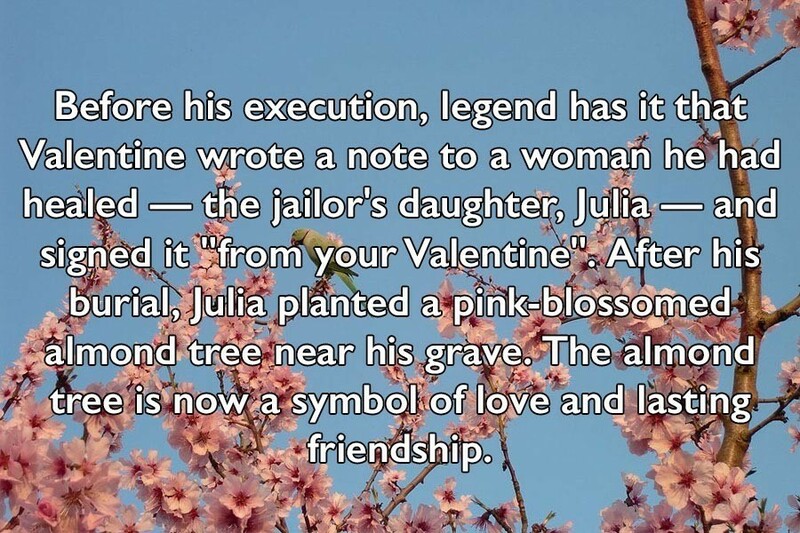 After the saint’s burial, just next to his grave, an almond tree was planted by Julia that surprised everyone because it produced pink blossoms. Till today, pink represents love and friendship. Thus, its quite evident why we still use pink when celebrating the day of love. First of all, Valentines Day love letters are not a 21st century phenomenon. Period. Aah…don’t be disappointed my dear friends! In-fact, the tradition to write love letters started way back in Tudor times. Though, there aren’t many of those letters that we can display, but, above, you can see a beautiful handwritten love letter that is the oldest Valentine’s Day love letter to survive. It was in February 1477 that a letter was written by Margery Brews. She wrote this letter to her fiancé John Paston, addressing him as a ‘right well-beloved valentine’ of hers. In that letter, she described about her failing health and also acknowledged how trustworthy John was. The whole letter mentions about pining for love and getting married. This letter is one among the surviving pieces among a collection of 15th century English letters called Paston letters. There was a poem that historians believe was written by the Duke of Orleans named Charles. He wrote the poem for his wife when he was jailed in the Tower of London. He wrote a beautiful and romantically charged poem in which he made use of innumerable poetic words like gentle Valentine, sick of love, and destiny. The letter, however, reached after his wife passed away. 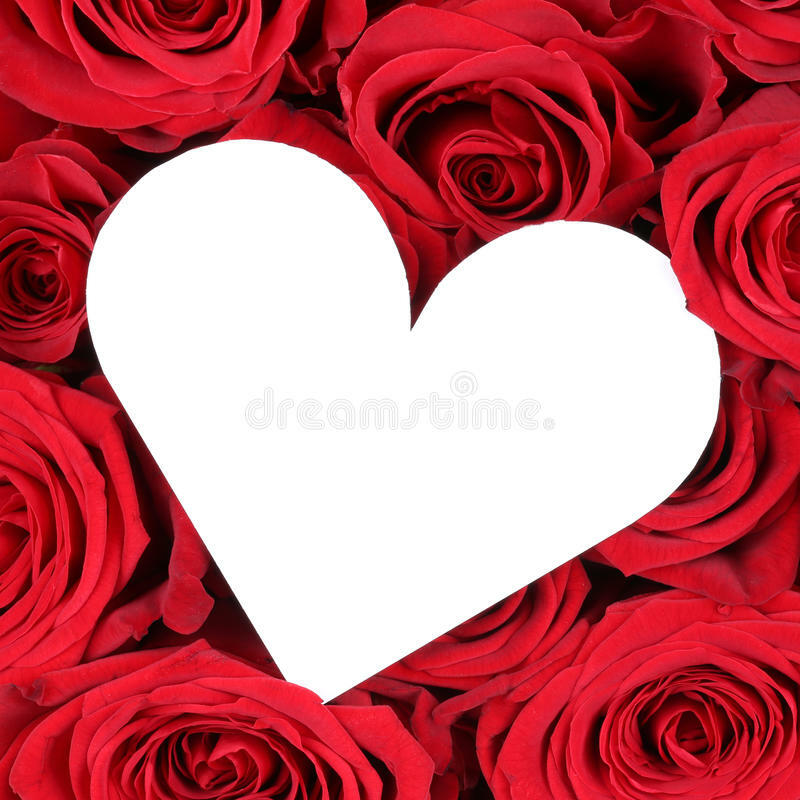 Valentines Day history is very interesting with so many surprising facts that most of you wouldn’t have known prior to reading this post, am sure! One such surprising fact relates to chocolates. Yes…mouth watering chocolates! Do you know who started this tradition to eat chocolates? To inform you, it were the physicians in the 1800s that recommended people to consume chocolates just to remain composed and calm when they missed their loved ones terribly. It was a kind of medicine that worked wonders on people that pined for love. You all know that St. Valentine is regarded as the patron saint of love and happy marriage. But, it may come as a total surprise that he is also worshiped as the patron saint of epilepsy, plague, fainting, beekeeping as well as traveling. Wow..what an exhaustive list of duties to have been loaded on his humble shoulders! Even today, people pray to him when they, or, someone in their family is affected with the above mentioned diseases. He is prayed for keeping a watchful eye on the lives of couples. The saint is therefore, a torch bearer not only for matters related with love, but also for other worldly affairs. This, I too, didn’t know prior to composing this article. Hopefully, you have gained much knowledge from this engaging piece. The expression ‘To wear your heart on your sleeves‘ comes from a medieval practice associated with the day of love. In those times, it was customary for young people, both men as well as women to put their names in a bowl for checking out their future sweethearts or Valentines. After drawing their paired names from the bowl, the couples would start wearing their sweetheart’s names for whole one week. This was done to show others that they were hitched and in the future, could marry as well. The custom soon gave birth to the modern day expression as we know it today. Interesting to know…right? 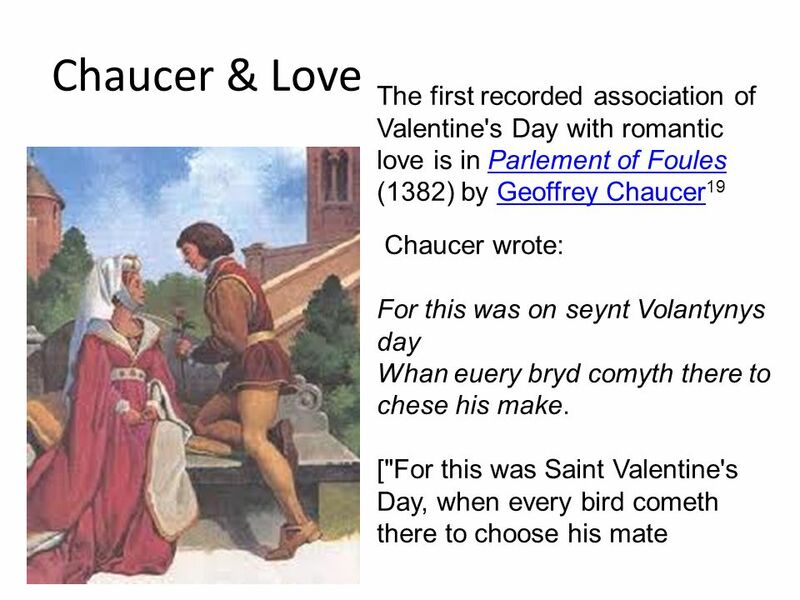 In all likelihood, it may have been Geoffrey Chaucer, an English poet in the Middle Ages who might have invented Valentine’s Day. Surprised? Well…let’s read on. Before he wrote his work “Parliament of Foules“, there was no record of any kind of romantic custom of celebrating Valentine’s Day. In his work, he mentions about the custom of finding a mate on the day of February 14th when both birds and human beings gather together. Its a dreamy sequence in which the author mentions about a group of fowls serenading a female. This poem is the first reference to the idea of Valentine’s Day being celebrated as the day of lovers. Read the following excerpt from this 699 lined poem – “For this was sent on Seynt Valentyne’s day / Whan every foul cometh ther to choose his mate.” With this poem, he may have invented Valentine’s day. Till the 18th century, couples and friends exchanged handwritten greetings and cards to celebrate Valentine’s Day. But, with the advent of the 19th century, handwritten greetings were replaced by printed cards. It became a ritual of sorts for young couples and friends to exchange cards with well written printed notes and greetings. Exchanging printed greetings was not only cheaper, but also easy for expressing love and other emotions. Now a days, the world celebrates this day with over the top printed greetings that have become the norm. Nothing says better than a romantic printed card with cute designs and heartfelt wordings. Did you know that prior to 1840s, Americans had the habit of exchanging handmade cards on Valentine’s Day? In the 1840s, a woman called Esther A. Howland invented the first elaborately designed greeting cards, known as scrap and produced it on a mass scale. She is known as the ‘Mother of the Valentine’ as she revolutionized the business of selling greeting cards on February 14th forever. 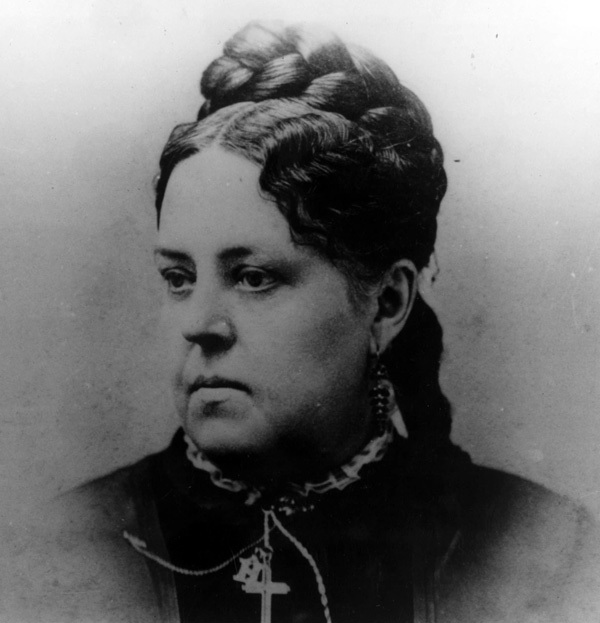 The lady began selling America’s first ever Valentine cards on a large scale. Her cards were elaborately designed using lace and ribbons. Howland sowed the seeds for the growth of present day card industry that sells approximately 1 billion Valentine Day cards worldwide every year. You have the freedom to celebrate Valentine’s Day not only on Feb 14th but on several other days as there are not one but several St. Valentines. In addition to celebrating the emotion of love on Feb 14th, you can also choose November 3rd to commemorate St. Valentine of Viterbo. Apart from these two dates, there is another day that celebrates St. Valentine of Raetia, and that day is January 7th. So, I guess, I have made lovers quite excited as they now have so many days to celebrate their love instead of only one! Cheers, my friends! Among so many male Saint Valentines, there is just one female saint that women can honor to celebrate the day of love. You may have heard the name of St. Valentine or Valentina who was martyred on July 25 in Palestine in AD 308. If you haven’t, then learn a few things related to her. 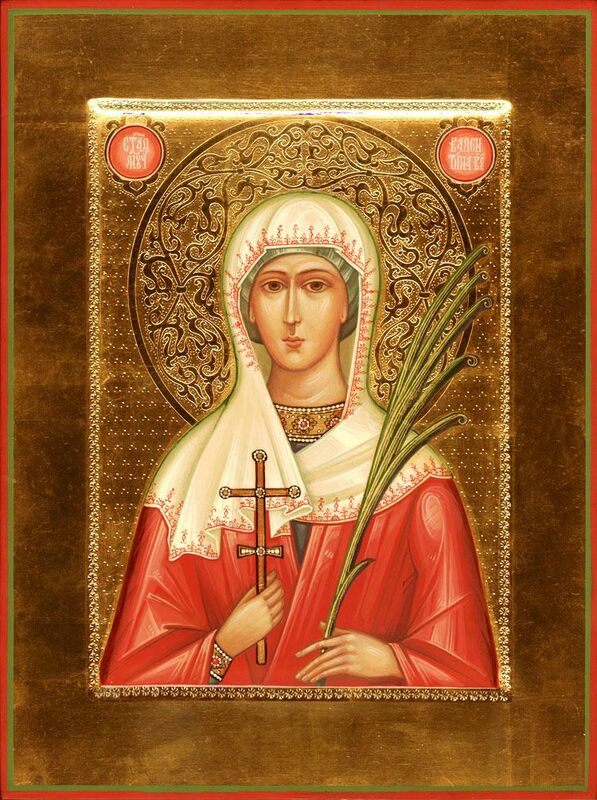 St. Valentina was a virgin who hailed from Caesarea located in Palestine. She was executed along with her friend Thea after they merged with a group that followed Christianity. Both these women gathered for hearing the Holy Scriptures when they were attacked by the local officials. When the officials tried to burn Thea, Valentina objected and was thereafter burned together with Thea. This courageous act of Valentina made her as well as Thea saints as they dedicated their lives not merely for each other, but, for Jesus. Therefore, celebrate this act of courage and sacrifice once on Feb 10 and then on July 18 . Its ironical that it wasn’t Europe where Valentine’s Day celebrations really began. 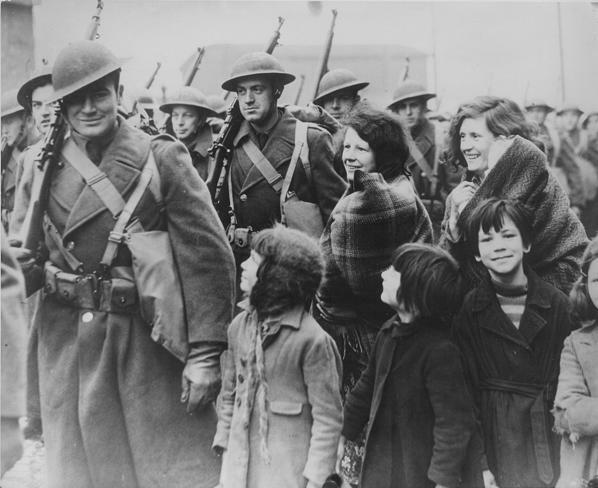 Though, the custom was European, but, the celebrations kick started with the arrival of the American soldiers who took the initiative to reintroduce the concept of Valentine’s Day after the end of World War II. Thanks to these fellows that Nuremberg saw the world’s first ever Valentine’s Day Ball in the year 1950. May be you all ought to give a standing ovation to these guys for their commendable job! Who or what kick started Valentines Day? If you think it was St. Valentine, then you are right! According to most legends associated with Valentine’s Day, it was because of the bishop of Terni named Valentine that we have this great day of celebrating love. The bishop lived in the 3rd century AD and helped needy Christians as well as helped soldiers to get married. Marriage was forbidden during that time and anyone who conducted the wedding ceremonies was executed by the ruling emperor Claudius Gothicus. The saint was imprisoned once Claudius found out about the ceremonies conducted by him, and forced to covert him into his Pagan religion. The saint refused and instead asked the emperor to be converted into a Christian. This act proved fatal as he was beheaded on Feb 14th in 269 AD. This marked the beginning of the day of Valentine and after 40 years of his execution, he was made a martyr and a saint. Its believed that the symbol of XOXO originated in the Medieval times when most people were illiterate and didn’t know how to write. For a Valentine, the people would sign an X instead of their names and follow it up with a kiss that showed how sincere they were. This would be done in the presence of a witness. It may sound hilarious when I say that before Medieval times, Valentine’s Day was associated with the mating of birds and not humans. Laughing already? Well, this seems true. If you read about the history of Valentines Day, you will come to know that long before the Middle Ages, people associated the day of Feb 14th as the day when the mating game began for birds. People in England and France believed in this idea because by middle of February, most birds like doves and lovebirds started to chirp after a long spell of winter. Even the poet Chaucer mentioned about this in his work ‘Parliament of Foules‘. Other writers like Drayton, too, mentioned his belief that the birds mated on St. Valentine’s Day. In Medieval times, women who were of the marriageable age deliberately preferred eating odd food items in their belief that by doing so they will dream of their future husbands. The Middle Ages were very weird as far as food choices of people were concerned. You could spot any and every bizarre thing on a Medieval person’s dinner table. But, the foods chosen by women on Valentine’s Day competed against those and won hands down. One very weird food was the roasted hedgehog. Eaten voraciously, the women enjoyed all kinds of weird foods in the hope of dreaming about their future spouses. 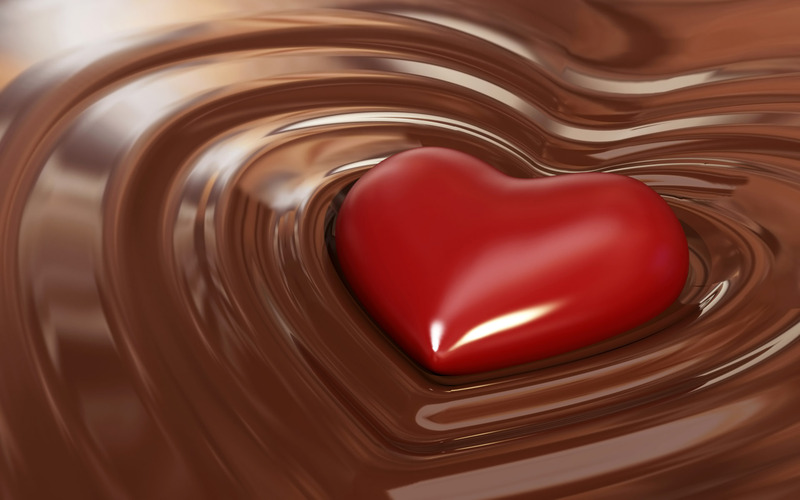 Here is a thing about Valentines Day facts showcased today – THEY ARE FUN AND QUITE SURPRISING! One surprising thing that I have discovered while researching is that certain herbs played quite an important part in Valentine’s Day. Herbs like lavender, basil and rosemary were specially recommended to be eaten or worn during Valentine’s Day. While, lavender was considered an aphrodisiac for its fragrance, basil represented fertility of a woman. Rosemary, on the other hand symbolized love, and therefore, was a must to be used on the day of love. Now, I am going to drop a big surprising fact on all of you who thought that Valentines Day and Necco sweet candies shared a strong bond from the very beginning. To tell you the truth, these sweet candies weren’t meant to be candies but, behold….throat lozenges! It was in 1847 that a pharmacist in Boston named Oliver Chase, by accident, discovered the candy making machine. 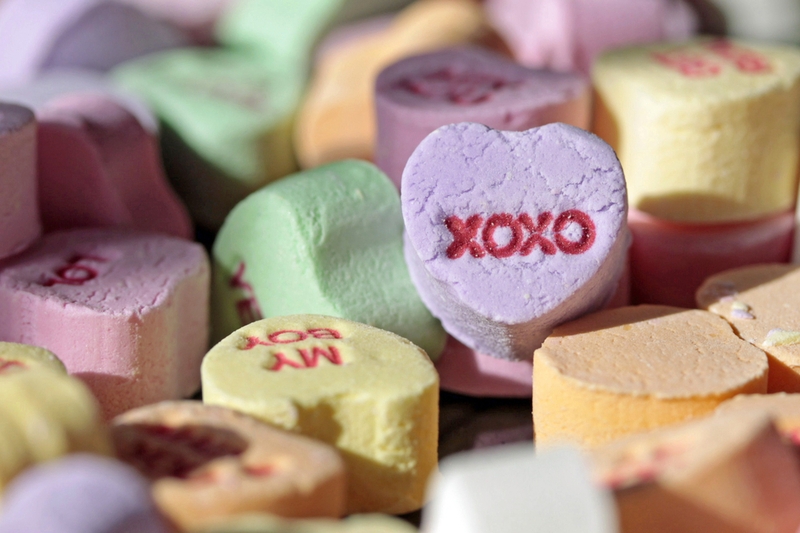 Later, in 1866 he invented the modern day ‘chalky’ heart candies that are also called conversation hearts. Therefore, what began as an experiment to make a machine to churn out lozenges in loads turned out to be a boon for the world and humankind today. Thanks to Chase, we can now celebrate our special day of love with these cute candies that express love like nothing else! 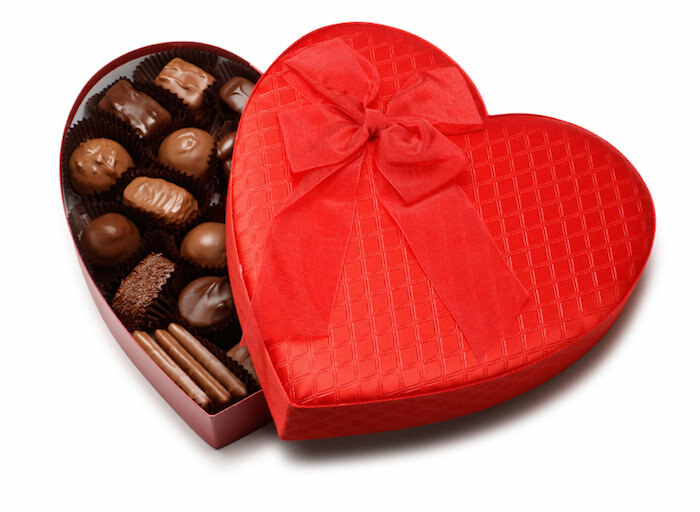 Before Mr. Richard Cadbury and his ‘oh so sweet’ invention – the sweet and chalky first box of Valentine’s Day chocolates, the world didn’t know how Valentines Day could be celebrated with such sweetness. It was in 1880s that Cadbury founded the first box of these delicious chocolates and sent ripples throughout the globe. During those times, it was common for people in England to drink chocolate rather than eat them. Cadbury changed this concept and created the first of a kind box in the shape of a heart specially for the love day. And the rest is history! Come Valentine’s Day, and the city of Verona transforms into the most romantic place in the world with almost 1000 letters that it receives on behalf of Juliet who lived there. Verona is the same hallmark city where the doomed lovers Romeo and Juliet lived, and laid their lives. The city has a club known as Juliet Club or Club di Giulietta that replies to all the letters sent on Valentine’s Day. And, it also gives a award for the most deserving letter called Cara Giulietta or Dear Juliet. Apart from roses, hearts, chocolates and letters, there is another feature that is usually associated with Valentine’s Day. Its the ribbon. In the Medieval times, it was a common tradition for the lovers or sweethearts to give ribbons to their knights when they competed in any tournament. A ribbon symbolized good luck and hence it made sense to give these to the competing knights. The heart and rose were the usual symbols associated with Valentine’s Day as both of these represented romance, love and passion. 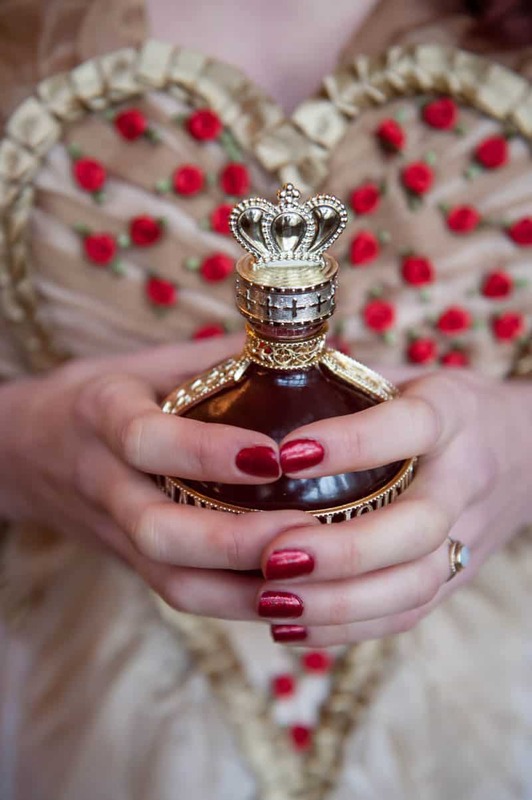 While, a heart was the personification of love and was regarded as the dwelling place of a soul, the red rose was the favorite flower of Goddess Venus. The red color of the heart and rose was considered to be the symbol of passionate love and hence, these two were most linked with Valentine’s day. No, not in modern times. But, back in the Victorian times, people considered signing Valentine’s Day cards a bad thing. Many believed that by signing Valentine’s Day cards, one invited bad luck, and hence, it wasn’t a custom to sign your V Day cards. Hence, to conclude, Valentine’s Day is a festival meant not merely for lovers, but friends and family too. Saint Valentine was a great soul that loved and died for love. Hence, don’t hesitate to fall in love and express it the way you want. No one will mind, I am sure. Do have a re-read of the history of Valentines Day written here in case you missed some fact. Bye!